"LEAP! 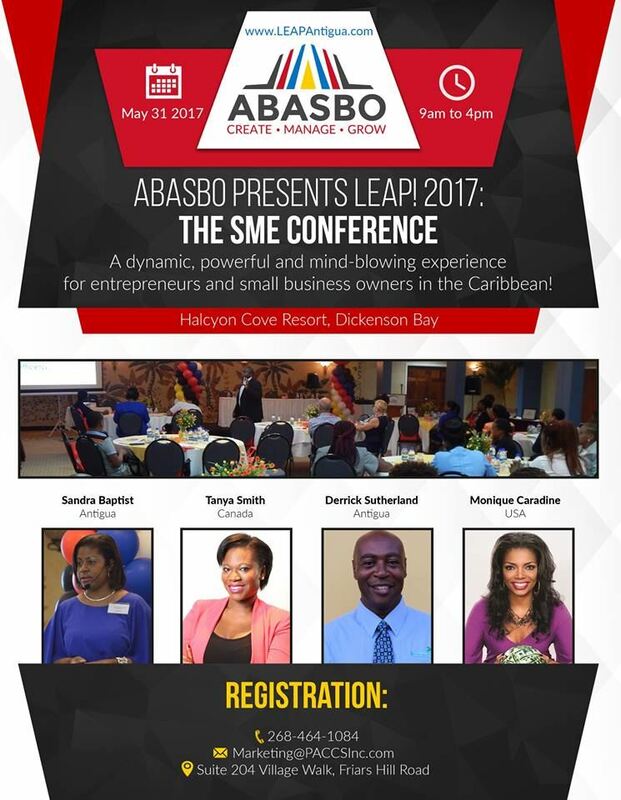 2017" The SME Conference is a premier business conference for small and medium-sized entities and is being hosted for the second year by the Antigua Barbuda Association of Small Business Owners (ABASBO). This event will be held on May 31 and June 1, 2017 at the Rex Halcyon Resort. The theme this year for !LEAP! 2017 is The Sales and Money Experience. At this Conference there will be Local, Regional and International Guest Speakers and Presenters which will include: Sandra Baptist – Antigua, Derrick Sutherland - Antigua, Tanya Smith – Canada and Monique Caradine – from the United States of America. Day One: May 31 2017: General LEAP - for Business Owners and Entrepreneurs! 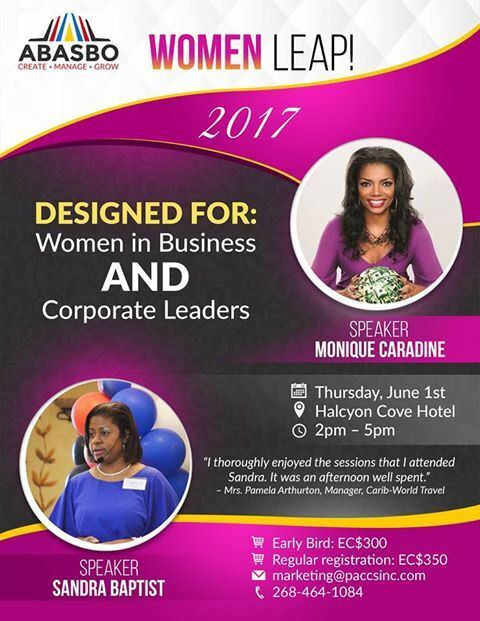 Day Two: June 1 2017: Women LEAP for Women in Business, Corporate Leaders and Female Entrepreneurs!